If you are in need of a new business telephone system, there will be several factors to take into consideration. In many cases, simply answering some questions about your business will give you the answers that you are looking for. When you contact us at Empire Technologies for business phone installation in Pomona, we can go over all of these questions to put together an installation that is tailored to your exact requirements and budget. Are you going to need a complete phone system that will include a series of physical office telephones? Could it be that you can get by with only having a virtual telephone service that will rely mainly on mobile devices? These are things that we can work with you on so that you can get the exact installation to help your business thrive. Should you find yourself in need of office phones, do you have a particular service in mind? There are traditional services involving landline telephones, which you can get services through your regional or local telephone companies. Then you have the VoIP service, which is a system that runs through the internet and you can go with a wide range of providers. When you call us, our team will be happy to go over the benefits that come from either type of service installation. 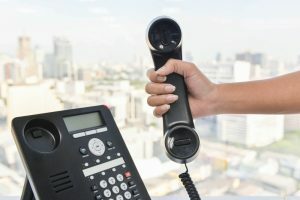 There are a number of businesses today that will call upon us at Empire Technologies to put together a solid combination of both traditional landlines and modern VoIP technology. With such an emphasis today on mobile technologies, our team can be there to bring your business into the modern age and make all of your communications flawless. All you have to do is contact us for a full consultation for your business phone service needs. When you are in need of business phone installation in Pomona, you can count on Empire Technologies. Call us today at (714)422-0431 for a consultation.